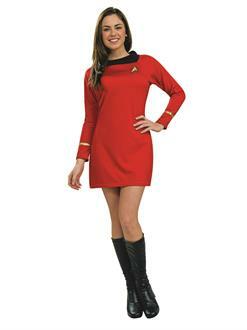 You'll look like you stepped off the Starship Enterprise when you wear the Star Trek Classic Adult Red Dress. 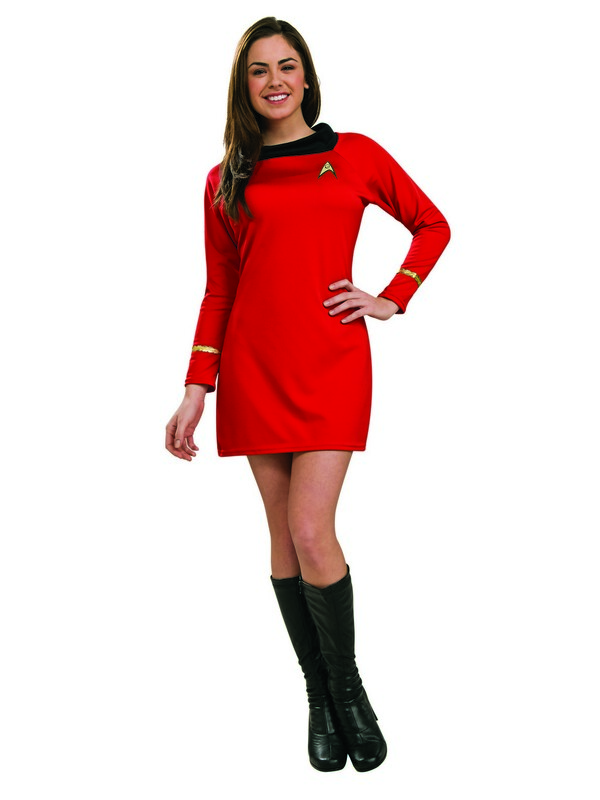 This costume includes a bright red, form fitting long sleeved mini dress with a black collar, shiny gold wrist bands, and a replica Star Trek emblem pin. Look your best and impress Star Trek fans young and old in this officially licensed costume.